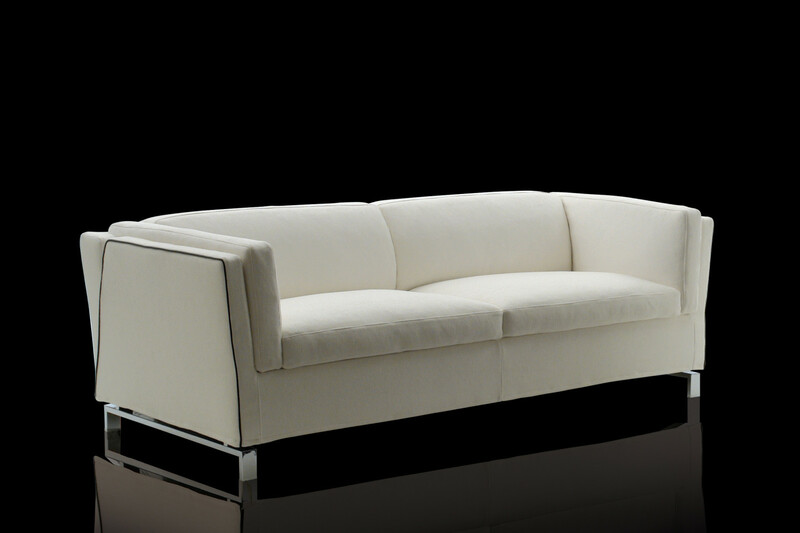 Benny is a made in Italy sofa with high armrests and elegant modern chromed feet. 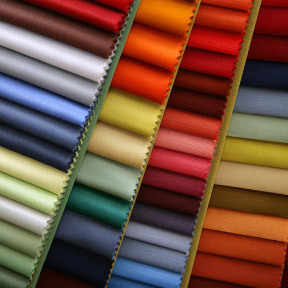 Available in fabric, eco-leather and leather. 2 and 3-seater models. 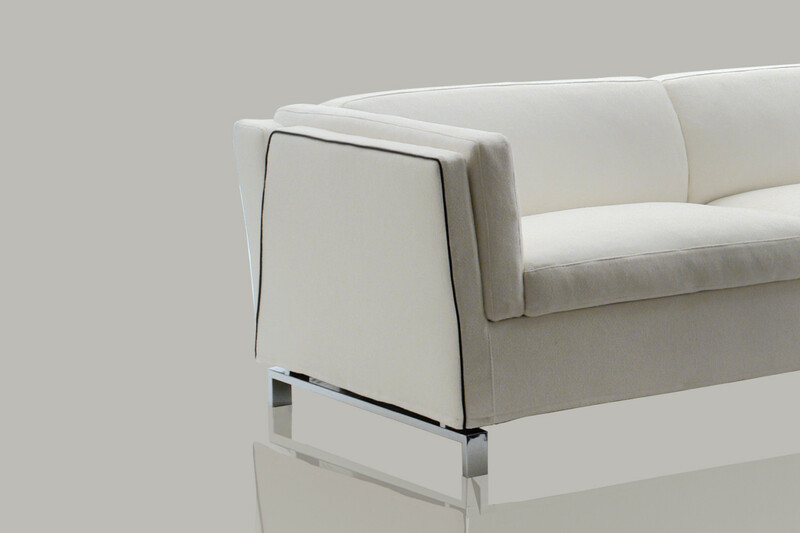 Benny is a couch with high armrests and chromed metal feet. 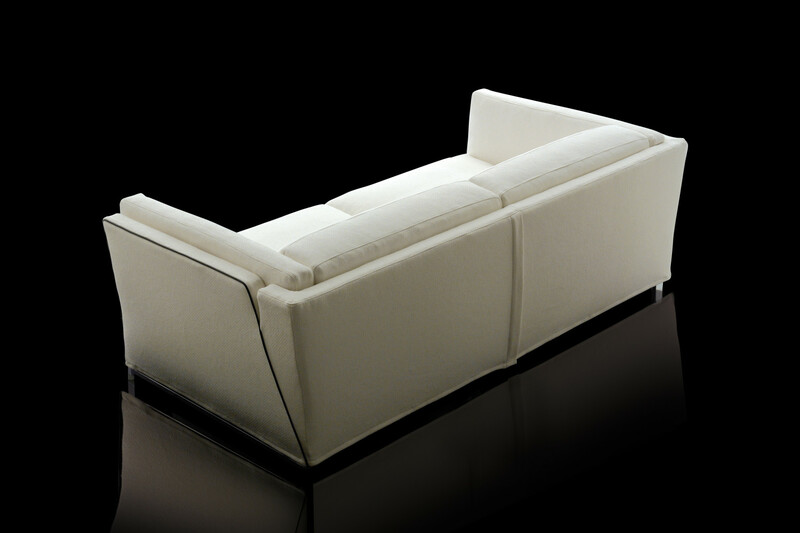 Its elegant lines combine with the great comfort guaranteed by its cushions, with a goose down padding supported by polyurethane inserts. The look of this couch is the outcome of the balanced combination of few essential elements: chromed metal feet and slim armrests with a rigorous and refined look on one side, comfortable and wide cushions on the other. 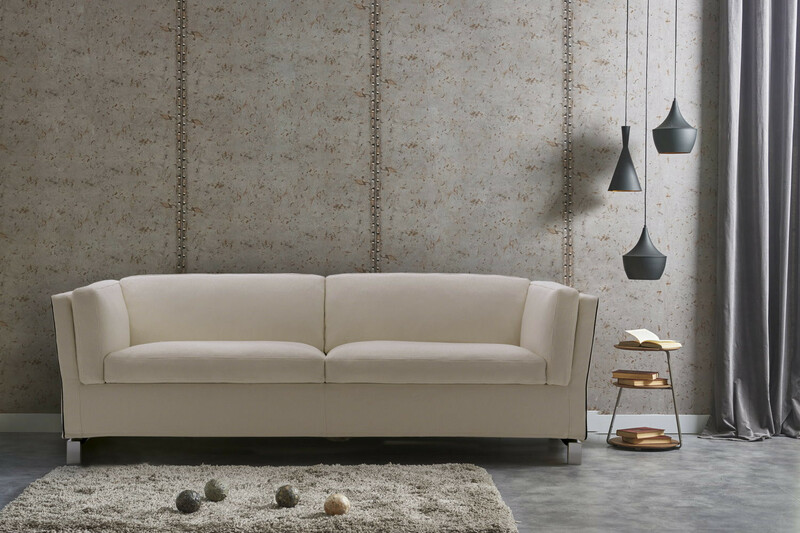 Benny furnishes with class modern sitting rooms with an elegant and refined style; its fabrics, leathers and eco-leathers, available in several colours, suit environments with the most disparate styles. 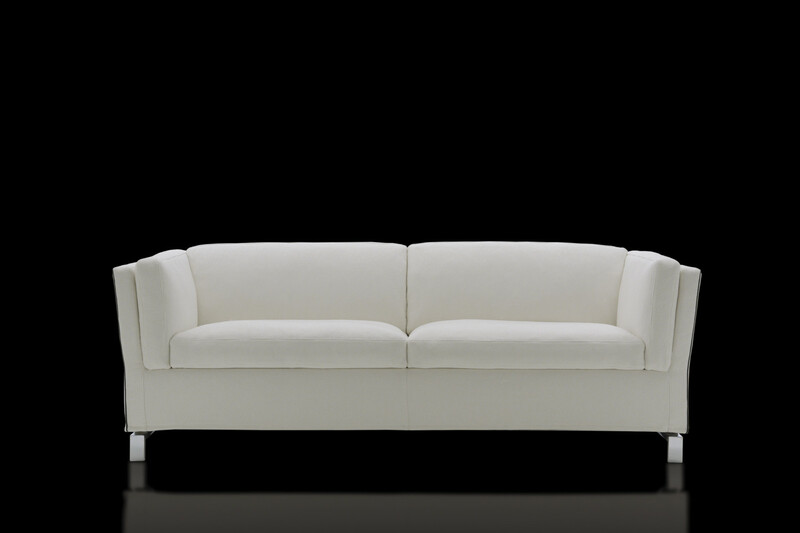 The hallmark of this design sofa is the piping outlining the armrests that can be chosen in several different colours. The 3-seater model is also available in a maxi version. 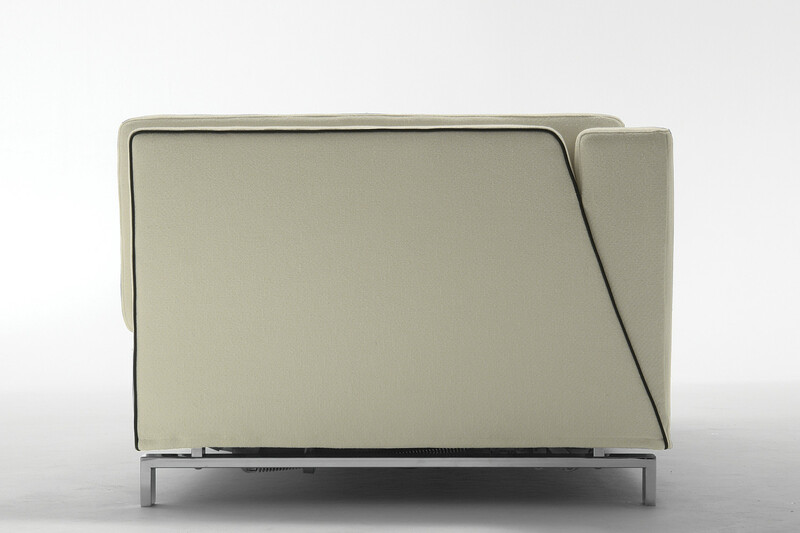 This sofa is perfect next to the same-name armchair from the same collection. Benny cover is completely removable. The armrests are characterised by a matching or contrasting piping. If you want a contrasting colour, it can be chosen among the ones belonging to the same category selected for the whole sofa. Structure: 30 and 40 Kg/m³ expanded polyurethane; 100 g/m² resin fibre combined with interliner.